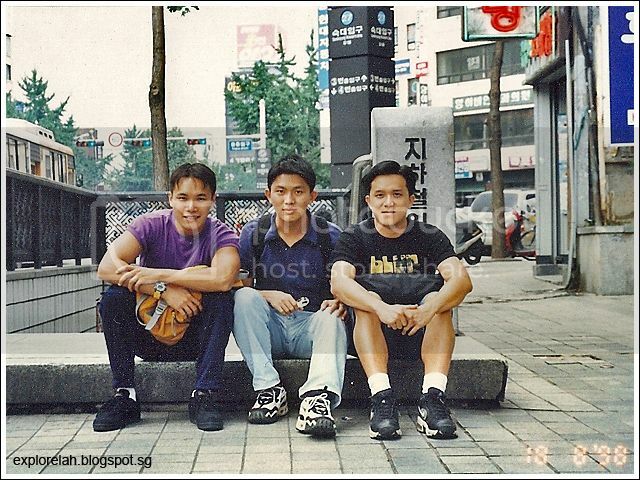 It was the year 1998 when I first set foot in Korea and I hadn't been back since until this trip in September 2013. Why did I stay away for such a long time? Navigating the country was stressful as language was a barrier and the Koreans we encountered then were impolite, unfriendly and some even fearsome! I didn't enjoy my virgin trip there. And that's an understatement. Like 3 stooges fumbling in a strange city, I recalled we spent more time getting lost than taking in the sights of Korea. 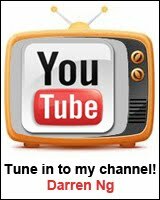 Back then, there was no TripAdvisor, Wikitravel, Google Map, smartphone apps or useful travel blog sites (such as this one... *please agree! * haha) to take the guessing and pain out of planning a holiday. Fast forward 15 years and my vacation this time round totally changed my mind about holidaying in Korea. Many of the locals I came across still need to learn to smile (especially when they are in the tourism industry) but I've encountered a lot more friendlier folks this time round. I guess the Koreans don't smile a lot but when they do, they really mean it. Way-finding was also much easier with tri-lingual signages (Korean, English and Chinese) and most tourist hotspots have English and Mandarin speaking service staff. It always came as a surprise when I asked for directions in English and the person replied me in Mandarin! Furthermore, the Korea Tourism Organisation (KTO) both in Seoul and its Singapore charter have done a superb job in bridging the nation's culture, attractions and cuisines to travellers. Especially if you're going free-and-easy instead of joining a packaged tour, their centres and websites provide great resources (travel guides, maps and exhibits) for research. 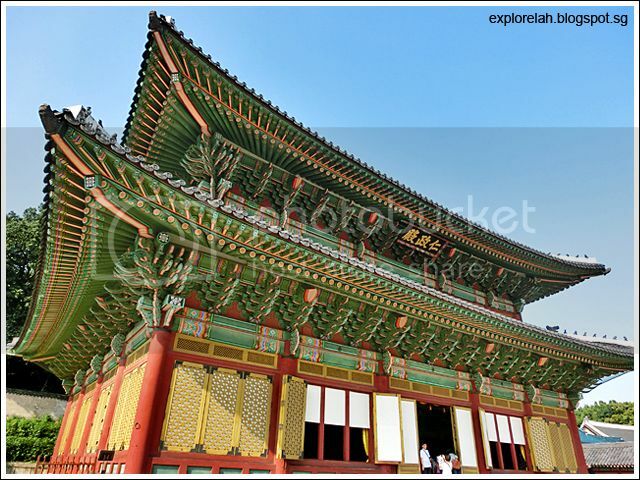 I used the materials extensively during my solo exploration of Seoul and they were really helpful. 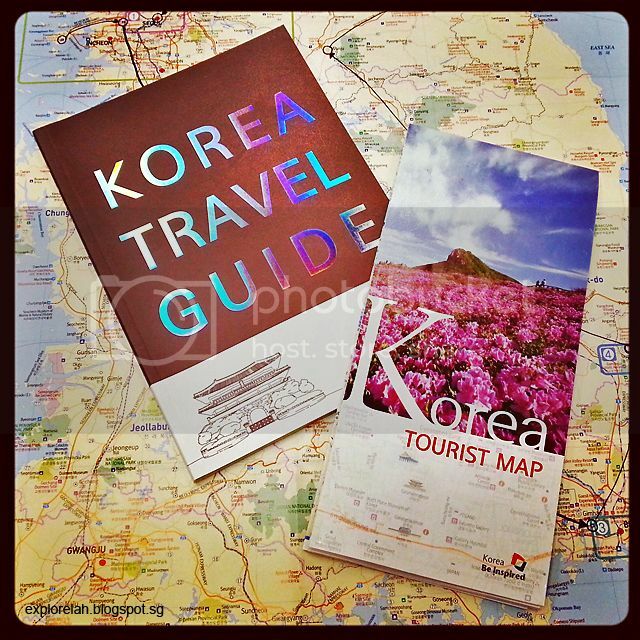 Free travel guide and map collected from KTO Singapore office at Korea Plaza, Samsung Hub, #01-02, 3 Church Street, Singapore 049483. Tel : +65 6533 0441. You can also download the 'Visit Korea' app and 'Jihachul' (meaning 'Subway') app for way-finding on-the-go. 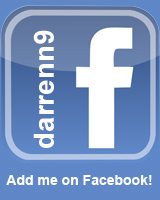 The apps are available on both Android and IOS platforms. Whenever I travel, there will be one person back home who's constantly losing hair... my mother. So to save her mane, I've taken to posting photos while on the road to my Facebook (she's on my FB list, how cool is she?!) as a way of telling her yes, I'm watching where I stand while taking photos, and no, I didn't follow the stranger who offered me candy. Instead of waiting to post photos only when I'm back in a hotel with free Wifi, I've taken a shine to upload every moment as it happens. Prepaid mobile plans are usually available at the airport for purchase but in Korea, none is available at Incheon. You have to pre-order online and then collect it at a designated store at the airport. We went with a 1GB data prepaid SIM card with Evergreen Mobile. 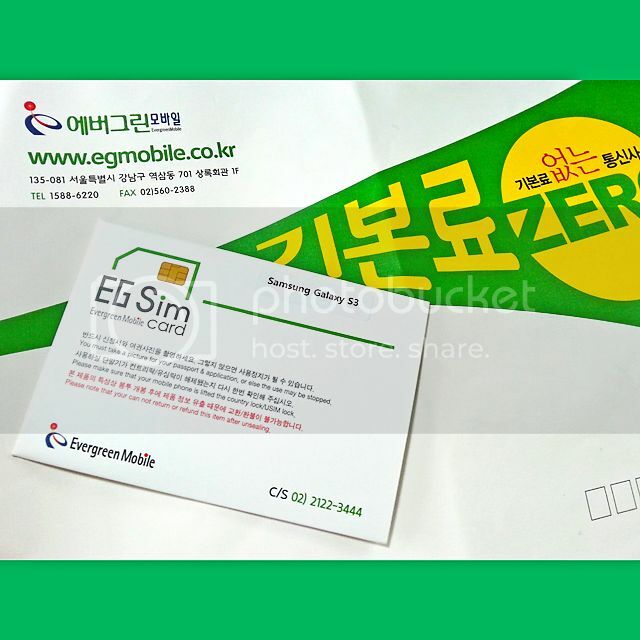 Search and purchase a EG SIM card at www.egsimcard.co.kr. My 1GB data plan costs about W20,000 (est. 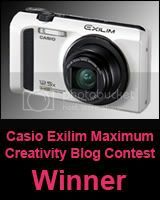 S$25) and lasted me 6 days of heavy Instagraming, Facebooking as well as Googling information about attractions. NOTE : Check that the SIM cards available are compatible with your phone as a friend told me that he can't find the nano SIM card that iPhone 5 uses. Unless you want to try cutting the card, email Evergreen to enquire about compatibility before purchase. 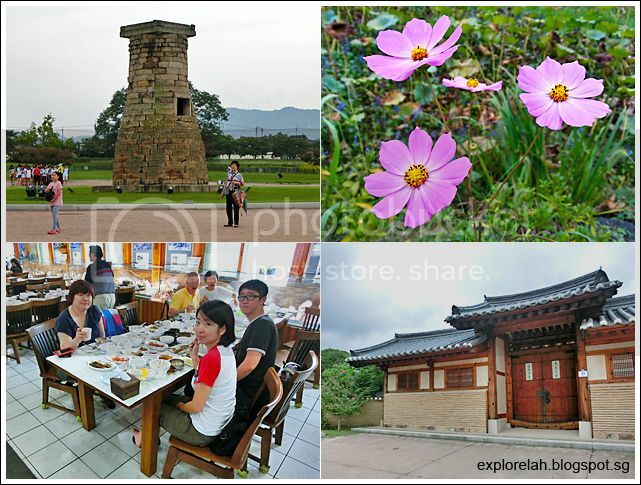 To further remove the pain of planning a trip to see the most of South Korea, I joined a K-Shuttle tour bus to sightsee various UNESCO heritage sites and harder to get to attractions along the Eastern collar from Busan to Seoul. Boarded the K-Shuttle tour bus at a Busan carpark near The Westin Chosun Hotel. 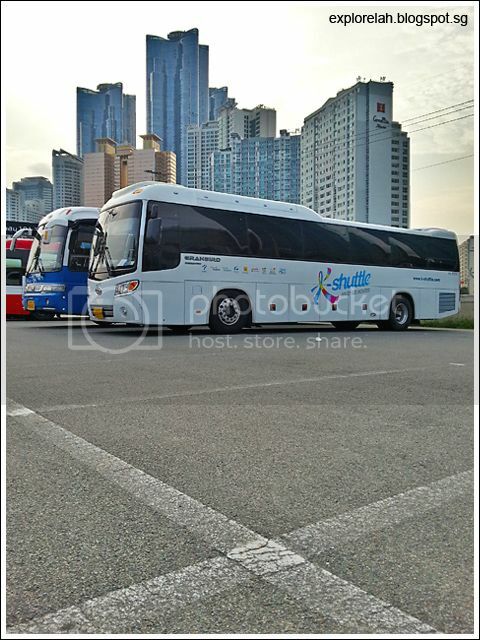 K-Shuttle is basically a tour bus service that tours all around South Korea and offers travellers the flexibility and ease of customising their itineraries. Below is a map of the round-country trip with the various stops (Destinations) marked out the 4 green spots being accommodation (Stay) locations. You can hop on and off any destinations along the stops. 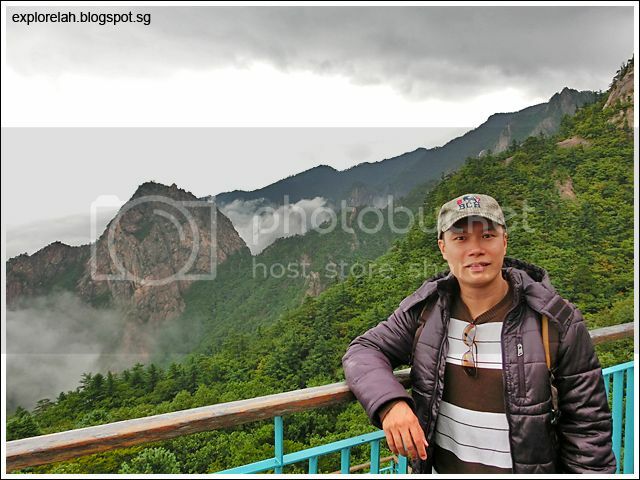 For example, if you would like to stay in Andong for one night although it is not a stay location, you can do so. But you will have to make your own accommodation arrangements. 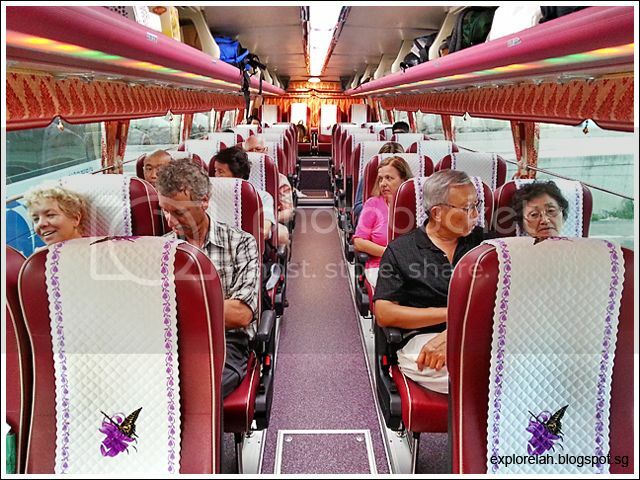 The next day, simply hop on the next K-Shuttle bus passing Andong and continue the journey. You will need to inform the tour guide of your extended stay so that he can check with the next bus for available seats. Currently, there is only 1 bus that will pass by each destination once daily so if you miss that bus, you will have to wait till the next day for another bus. I didn't join the whole trip starting from Seoul (which will last 5D4N) but hopped on the bus in Busan instead. Along the way, we passed by Gyeongju, Andong, Wonju, Pyeongchang, Gangneung, Sokcho and ended the tour in Seoul (a journey of 3D2N). K-Shuttle has English-speaking tour guides so no worries about the problem of a chicken talking to a duck. 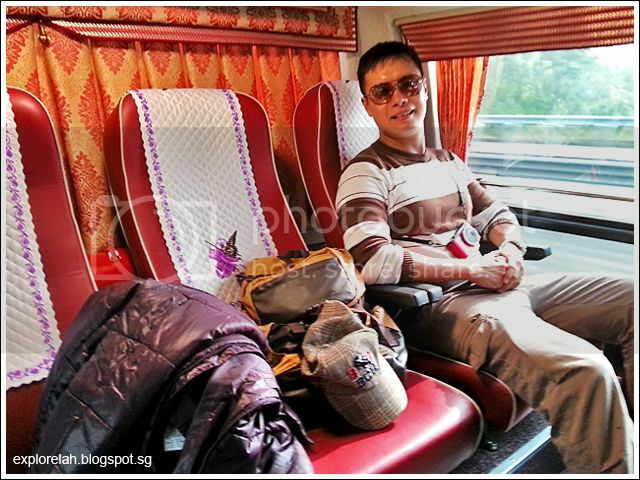 The bus can sit 32 passengers and our companions on that journey hailed from various nationalities. There's a family from Germany, another from China, a Japanese couple, Australians, Americans and American-born Koreans. It's a great way to make some international friends. Taking a back seat and enjoying the ride. K-Shuttle offers various bus-only choices or tour packages to choose from. Tour packages include bus fare, entrance fees to attractions and hotel stays. The attractions that K-Shuttle goes to may change depending on season so that you get to see the sights at their best time. 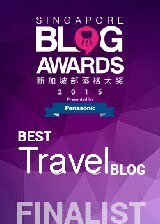 I would recommend taking the packages so you don't have to worry about finding accommodation. Plus it is definitely much cheaper than making your own arrangements and paying separate entrance fees to the attractions. 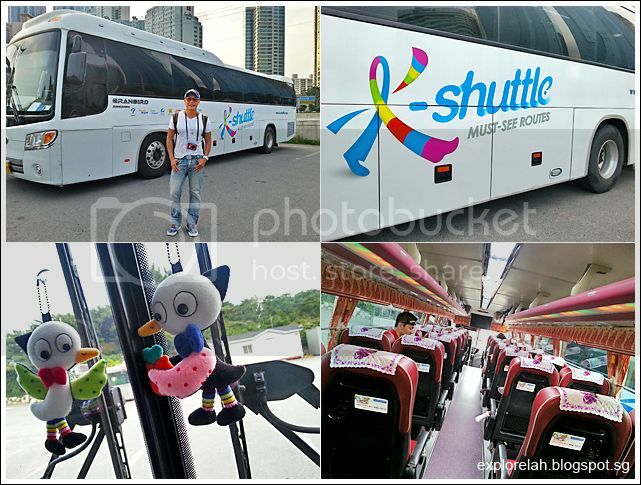 To start our K-Shuttle tour from Busan, we flew 6 hours from Singapore to Seoul's Incheon Airport, transferred to Gimpo Airport (30 minutes) and took another hour's flight to Busan Gimhae Airport. A less arduous way would be to find an airline that flies direct to Gimhae Airport. I would imagine that most tourists who boarded K-Shuttle from Seoul would hop off and spend a few days in Busan and Jeju island before rejoining the route. I've never been to Busan and my first impression of this second key city in South Korea was that it is Atlantis reincarnated! 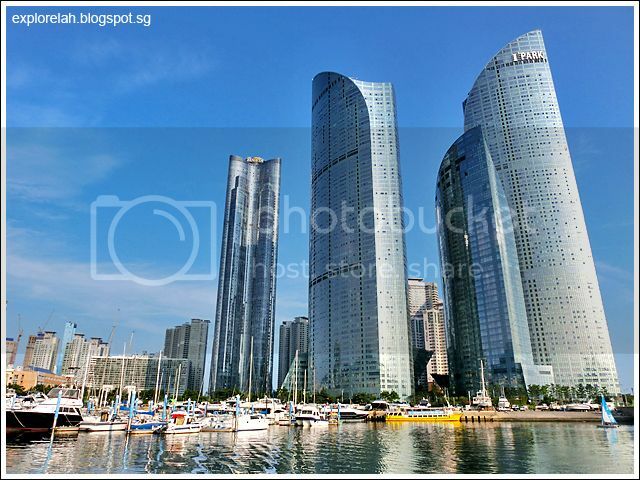 Busan is a city of beaches with strapping developments and skyscrapers lined up right next to the sandy shores. 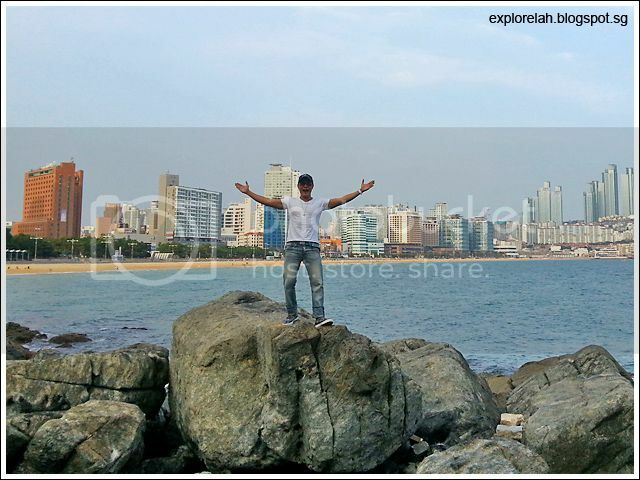 Behind me is the seemingly endless stretch of Haeundae Beach. 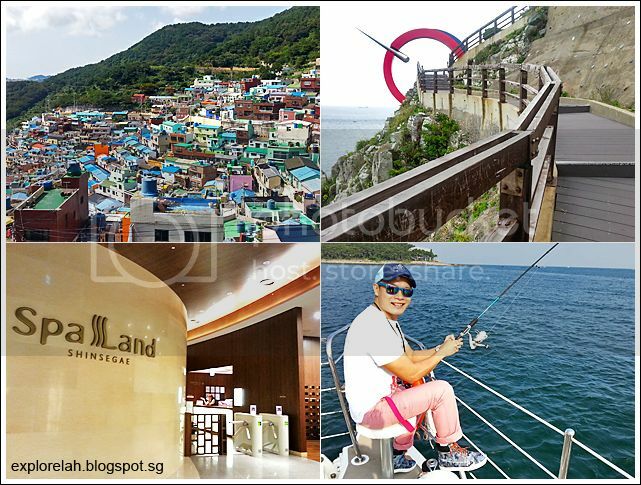 Photos : (Top Left) The colourful hillside Gamcheon Cultural Village, also nicknamed Santorini of the east. (Top Right) Light Beyond Limitation sculpture jutting out like a nose ring at Taejongdae Park. 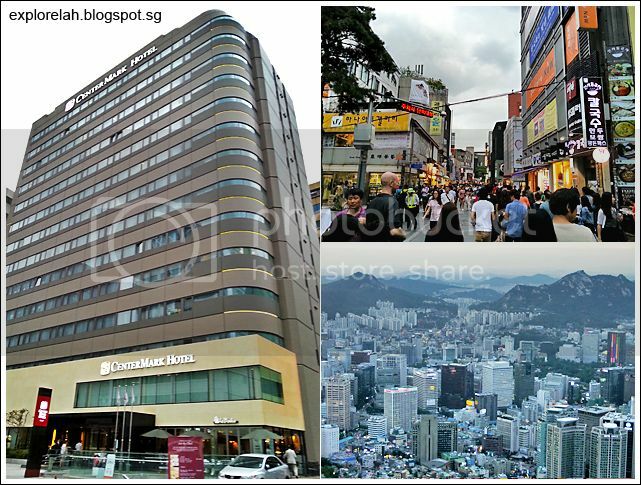 (Bottom Left) Up-market jjimjilbang (bath house) at Shinsegae Busan. (Bottom Right) Cruising the Busan coast onboard Yacht B operated by BEXCO and hoping to hook up with Ariel. 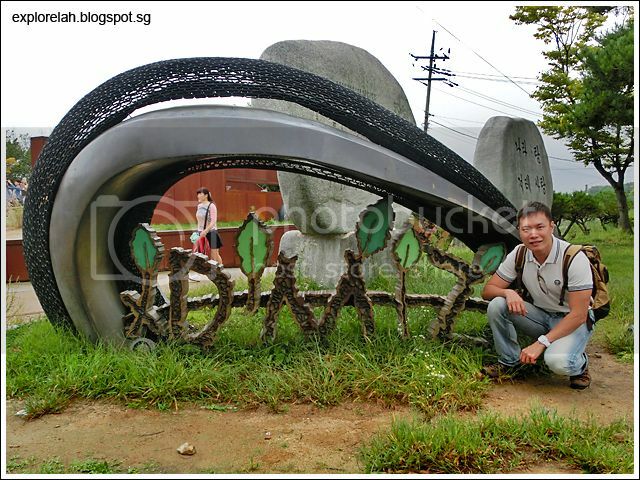 Busan is the gateway to Jeju island which is famous for some really funky museums. Didn't get to check out the island this time round. Hopefully it won't be another 15 years before I get to visit! 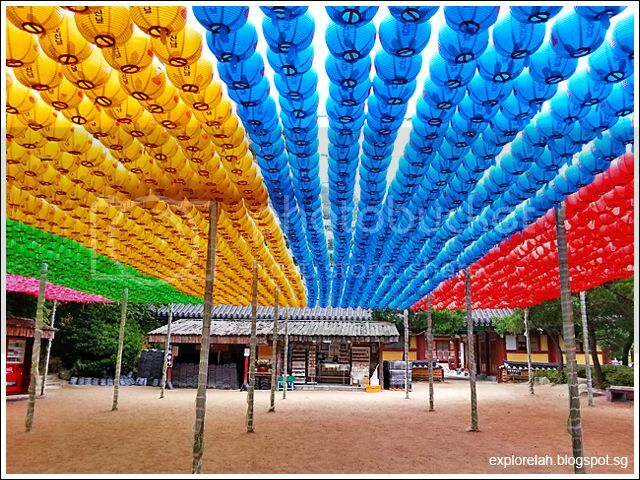 Rainbow lanterns liven up the mountain where Seokguram Grotto is located. The designated UNESCO world cultural heritage site is home to a quaint temple partially carved into a hill. Another UNESCO world cultural heritage site we visited at Gyeongju was the stunning Bulguksa Temple. After an eyeload of historical sights at Gyeongju and Andong, we arrived in Wonju to spend the night at Hotel Inter-Burgo. To be developed into a bio-city, Wonju is envisioned as an urban estate that coexists with nature. 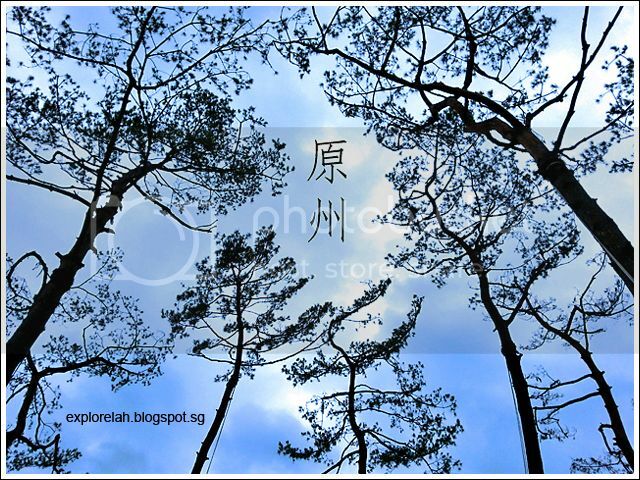 Love how atmospheric these few trees left standing at a vacant plot next to our hotel look. Feels like winter in autumn. 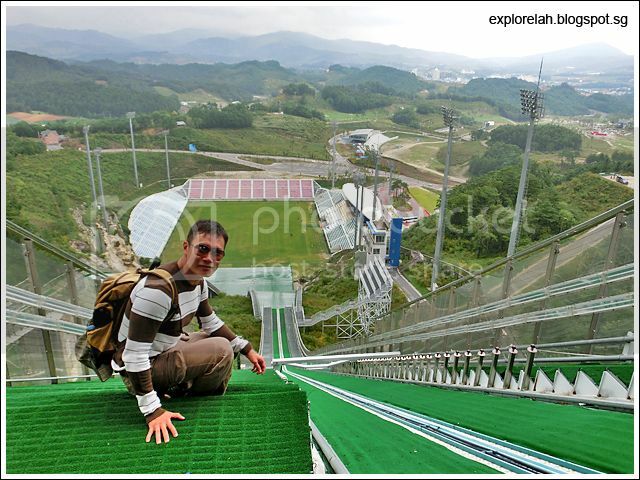 ... Alpensia Stadium where the winter ski events will take breaths away. My legs got wobbly just by staring down the slope! Following an encounter with acrophobia at Alpensia Stadium and a quick browse of the ski village, our K-Shuttle wheels rolled into Gangneung where we visited the former home of the late Shin Saimdang (a notable artist with multiple talents in Korea) and the picturesque Seongyojang, a classic upper-class residence of the late Joseon dynasty (1392 - 1897). Photos : (Left) The image of lady Shin Saimdang is on the Korean W50,000 note. 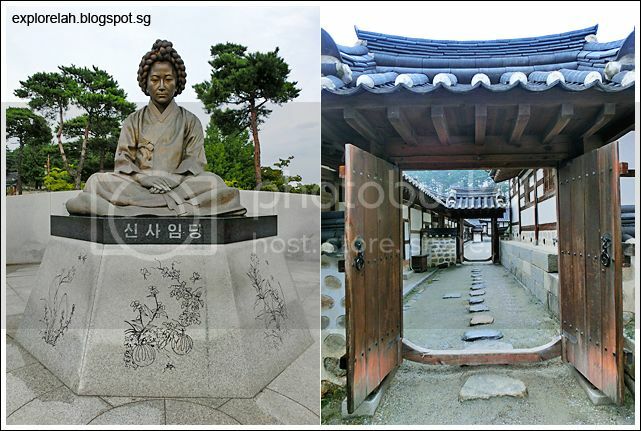 (Right) A passage through time at Gangneung Seongyojang. Our final sightseeing stop before heading to Seoul was Sokcho, where the majestic Seoraksan rises with peaks and cliffs shrouded in fog and mist flowing like a milky river. It's surreal. It's not that cold up on Seoraksan at this time of the year but since I brought my puffy jacket, die die must take a photo in it. LOL. But come during the winter months and you'll need more heavy-duty jackets than this. An almost 5 hours ride from Seoraksan with a rest stop in-between brought us to our final stop... Seoul! We dropped off at Exit 6 of Gwanghwamun subway station. It was almost 9pm by the time we arrived which goes to show that K-Shuttle really packed our itinerary to the max. I travelled with 3 other buddies on the K-Shuttle route and 2 days in Seoul but after that, I've extended my stay for another 3 days on my own. I wanted to see if Seoul has changed from what I remembered it to be 15 years ago. Yes, it has. And I had an awesome time on this second visit! Go to your soul yo! 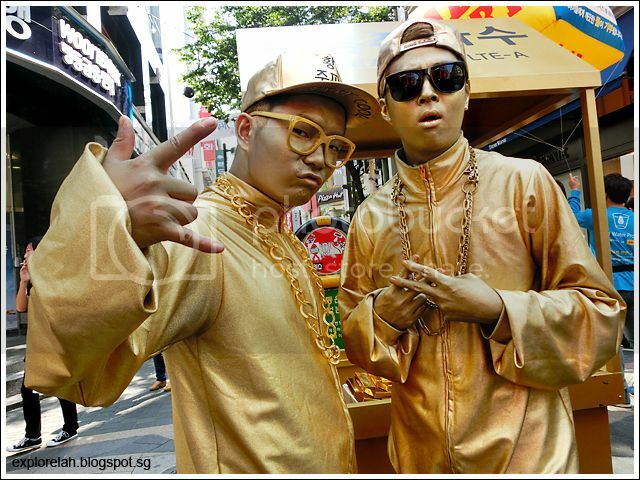 Gold to your Seoul yo! The city is brimming with surprises and creativity at the major shopping districts. Our accommodation was booked through Hana Tour, a stock exchange listed travel and tour agency with its roots in South Korea. 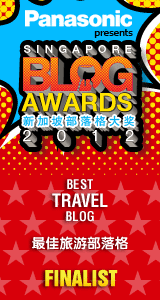 The agency has a Singapore presence to help travellers to South Korea get the best deals. 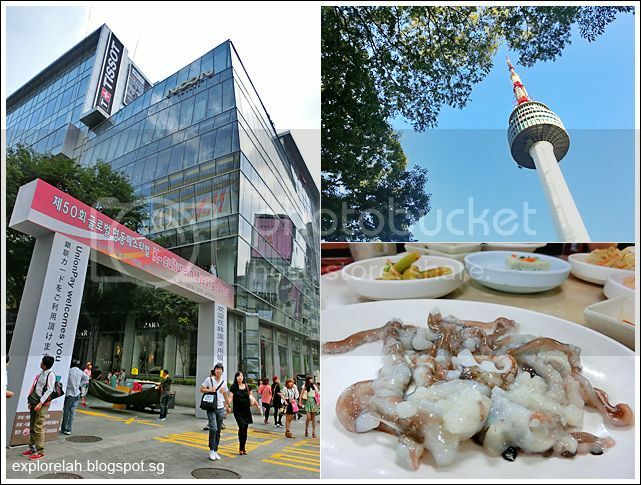 We stayed at CenterMark Hotel, a 4-star accommodation next to the art and antiques enclave known as Insadong. KTO... the soul of Seoul! 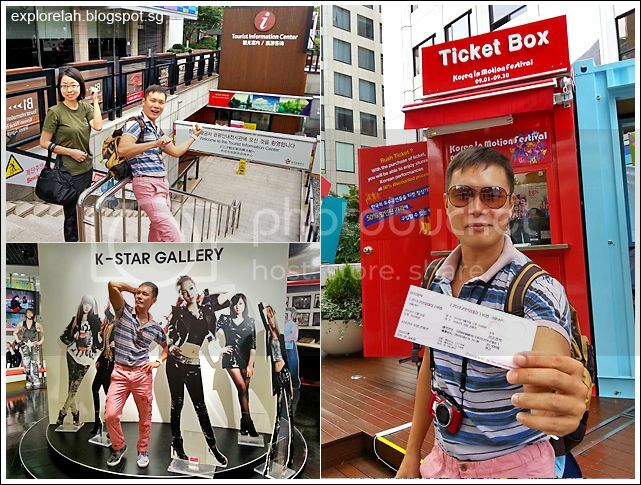 Visited the Korea Tourism Organisation office to get upclose with K-pop stars and get tickets to the Korea In Motion arts festival at 50% discount! Got a ticket to watch the deliciously crafted Bibap at W20,000 (W40,000 at the theatre's box office). 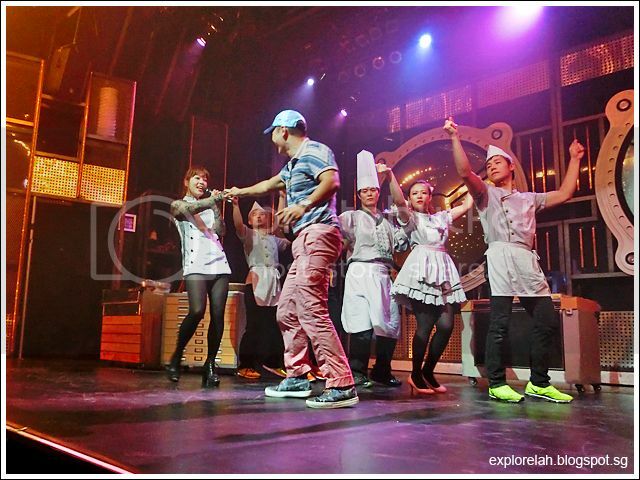 Bibap is a hilarious food-centric musical comedy where the audience becomes one of the ingredients in the show. I got pulled up on stage during a song and dance number and burned beetroot from having to expose my 2 left feet. I had no idea what I did on stage! One thing I never understood about Korea is its militant division into North and South. Why the in-fighting? A trip to the Demilitarised Zone (DMZ) finally shed some light and made me appreciate the value of democracy even more. Our very knowledgeable guide from Grace Travel, with whom our half-day DMZ excursion was booked, had a apathetic tone of compassion while explaining how her country came to be divided. 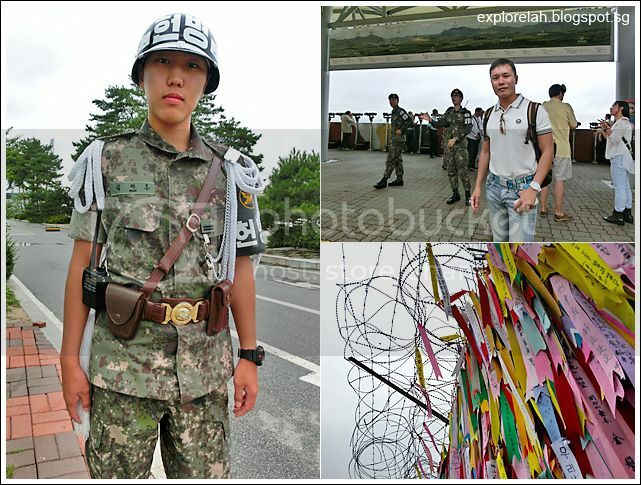 The strict attire and behavioural code to be observed when visiting DMZ up my curiousity ante when coming on this tour. The soldiers here really mean business! 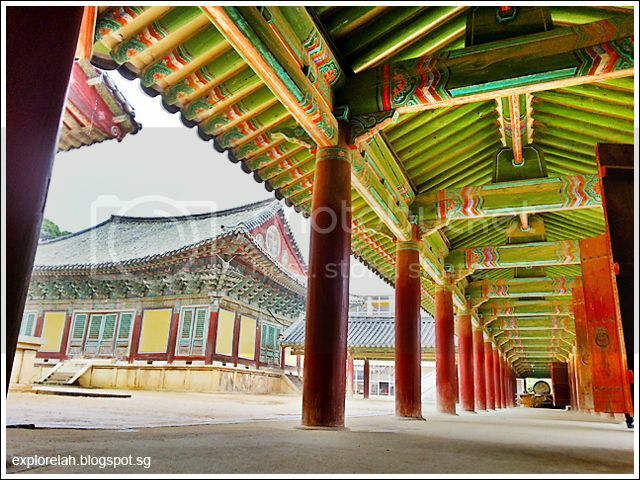 From the modern military struggles of Korea, I forayed into the grandeur of its imperial past. Visited the highly decorated Changdeokgung Palace and got a glimpse of its Secret Garden enjoyed by the bygone royalties. For my solo stay, I moved to a guesthouse near Myeong-dong and at the foot of Namsan where the Seoul Tower watched over the city. Oh, and I tried sannakji (octopus sashimi where the tentacles are still wiggling)! 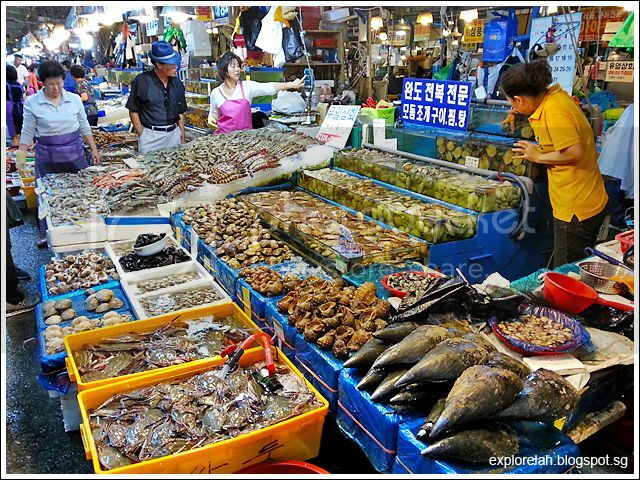 With Korean cuisines in Singapore centering on beef and hotplate BBQ, I never knew the Koreans had such a deep love affair with fresh seafood until I saw Noryangjin Seafood Market. The massive market defies any imagination of scale and offers all sorts of fresh catch that raises eyebrows and appetite! 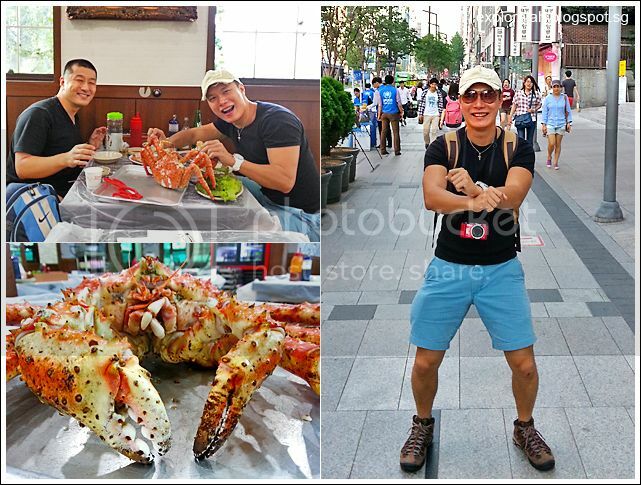 Picked out a huge Alaskan crab, tiger prawns and a fish available only during autumn for lunch followed by working off the gluttony with Gangnam Style on you guessed it... Gangnam Street! Where I used to think that it's rocket science to go on a free and easy tour of South Korea in the past, I'm of the opinion that travelling independently with a self-customised itinerary is much easier now. Getting somewhere in Korea is definitely much easier today with efforts by the tourism board to demystify the Korean language and various tour operators. The question is not so much how to get there, but where do you want to go? 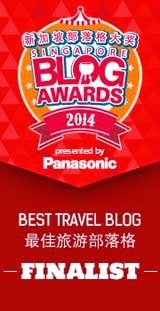 Do you want to see the heritage sites or 'serious' side of Korea? Or do you fancy the delirious artistic, delicious nomnoms or better yet, a mix of everything?! With Eunice and Lesley inspiring the next dance craze from Korea... the K-Shuttle Style! LOL. Having spent 10 days re-exploring South Korea, I felt I haven't quite seen enough as each city, province and street holds a certain magnetism of its own. Whether it is the brightly-hued palaces, the serene countryside, the neon-splashed shopping districts or beautiful locals, there is always something that catches my eye. Despite the hectic travelling and being constantly on the road, I thoroughly enjoyed myself on this trip. 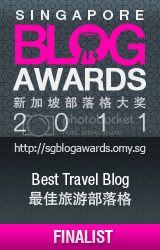 This post has been made possible by Korea Tourism Organisation Singapore, K-Shuttle, EG SIM Card, Hana Tour, and Grace Travel.